The bestselling Parents' Choice Award Winner - now expanded with a new section on computer and technology terms. Fully illustrated in a large format with clear, easy-to-read instructions, Signing for Kids features the clearest instructions and easiest-to-follow illustrations of any signing book available. And, Signing for Kids is as relevant to today's young readers as it is easy-to-use, with a new 16-page section of computer and technology terms. 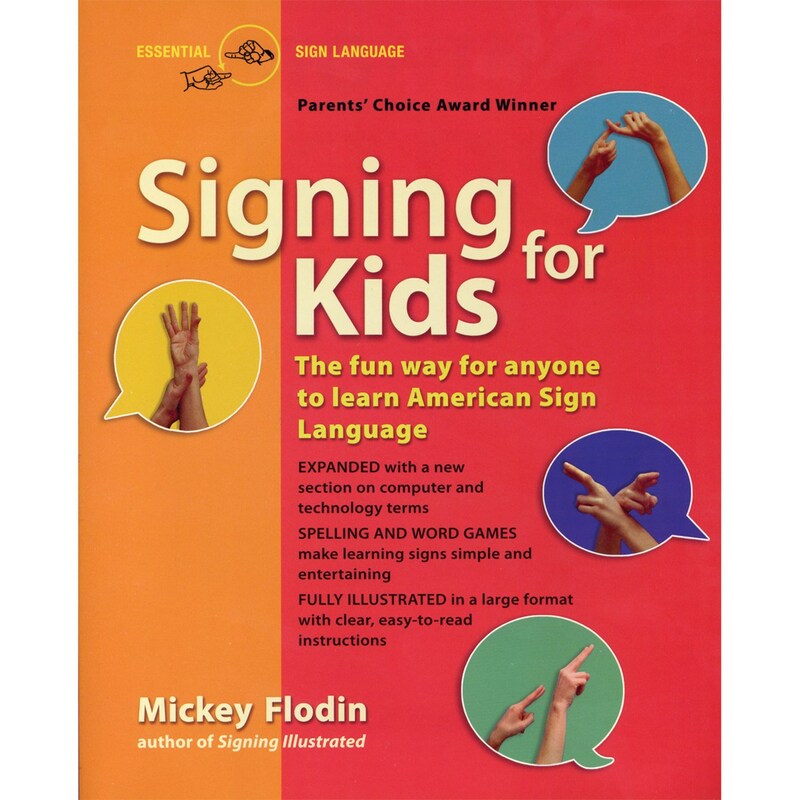 With helpful hints and tips for better signing and an extensive index for easy reference, Signing for Kids is the best book for beginners or for those who want to brush up their sign language skills. Paperback. 160 pages. Measures 8.26" x 5.23".